Skirtinguk.com accepts payment by many different means which include by credit card, debit card, cheque or by bank transfer. We will not accept liability for any charges made by banks for bank transfer services. 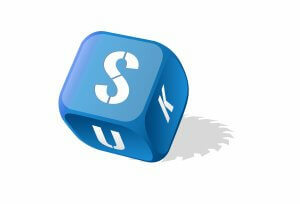 When you place an order with Skirtinguk.com you are making an offer to buy goods. Upon receipt of your order, we will check the price and availability of the goods. If we accept your order, we will send you an e-mail which confirms that a contract has been made between us. In the unlikely event that the goods are no longer available or that we have made a pricing or a descriptive mistake, we will advise you of this and there will be no contract between us. We will not take payment from you until we have accepted your order. Once payment has been received your order will be processed. The prices shown for all of the goods include VAT (which is chargeable at 20%), postage and packaging. These charges are included in the checkout prior to confirming your order. Note* Free Delivery: This does not apply to fast track or Saturday delivery and delivery charges will be applied. Please note Free delivery cannot be used injunction with any discount code. *Please note that all orders must be placed before 12pm to guarantee delivery within the four to six working days (working days do not include the day of purchase unless before 12pm. Working days do not include Saturday Sundays or Bank Holidays). Any orders placed after 12pm on a Friday will be delivered no later than one week on the following Monday. All bookings made on a Saturday or Sunday will be processed on the following Monday for delivery latest the following Monday dependant on the finish. Our Standard Delivery service provides delivery around 4 – 6 working days for Unprimed and Primed goods and 6 – 8 working days for Gloss, Eggshell and Satin goods. If a date is chosen that does not fit in the delivery timescale we will allocate the correct delivery date and contact you the day before delivery that the order has been dispatched from the Warehouse. Deliveries are made between the hours of 8am and 6pm please make sure someone is there to sign for the package/s, however sometimes due to traffic or location we may have to delivery after 6pm with the customers’ permission. Postcodes CA28 FK19-21 KA28 PA20-78 PH30-41TD15 EIRE except Dublin 1-24 IV may not receive orders the next day but will receive them in 3-5 days after shipping. Unfortunately, we will not know what day that will be so it is very important to leave instructions of where it is safe to leave your parcels. Any Parcels returned will incur a re-delivery charge. Collection Only will be available for collection on site within 6 working days. You will be notified when your order is available for collection.We do not store goods and if the items are not collected within 14 days they will be discarded. Please call 0121 289 4940 if a specific date is required. We understand that some people are only available on the weekends so we offer a Saturday delivery service for your order. Orders must be placed before Tuesday 5pm for the same week Saturday Delivery. All orders thereafter will be sent the following Saturday. All delivery services could be made by a small lorry or a van so it is assumed that the delivery address will be accessible. If there is likely to be a problem, e.g. the road is subject to a vehicle weight or width restriction, if it is within a “Red route” or there are any time zone restrictions please inform us at the time of the order to discuss alternative delivery options. We will require a person over the age of 18 to sign for goods as proof of receipt. Although we recommend you sign for your own goods, it is not required that the signature be from the specified recipient. Should you be unable to sign at the time of delivery the courier will try to leave the parcel/s in the safest place possible and you accept responsibility for the goods condition if it starts to rain snow or sleet. In any event, the courier will attempt to redeliver the goods the following working day. If you fail to sign for the product and it is eventually returned to us, you will be liable for any additional costs incurred for the goods being returned. The returned delivery charge for failed deliveries is a £35.00 minimum or £0.70 per kg, whichever is the greater. We sometimes use a courier they will deliver between 8am – 6pm however on some occasions we may deliver after 6pm with customer permission. Monday to Friday please make sure someone is home to receive the package. If no one is home or available they will leave the parcel in a safe place. Orders returned back to the depot will be charged again for re-delivery. It is important to check the packaging for any visual damage to the goods. If you are unfortunate enough to receive damaged goods or there are missing items, please make sure it is noted on the courier’s paperwork. We also strongly suggest that you contact us directly as soon as possible to make sure that we are aware of the problem. We cannot be responsible for any consequential losses or delays, therefore, we advise against booking installers until goods have been received and checked. All the delivery methods are made to kerbside due to insurance guidelines so please arrange for adequate help to carry goods into your property. Skirting UK are not to be held responsible for any losses which take place as a result of our external delivery couriers and their service provided. Whilst Skirting UK will provide a service to rectify and amend the issue at hand, Skirting UK recommend not to book a joiner / installer until the goods have been received and checked. Please be aware that we only deliver to UK mainland addresses, unfortunately, we are unable to deliver to Northern Ireland, Scottish Islands, Isle of Man, Isle of Scilly, Jersey, Guernsey and BFPO (British Forces Post Office) addresses. Time is not of the essence, but we endeavour to provide a service to get your goods delivered on the estimated delivery date. The delivery date provided is only an estimate and is subject to change. Circumstances which may cause a delay include – but are not limited to – unforeseen delays with our external courier service, issues with priming and finishes, and shortage of materials. We give no other warranty (and exclude any warranty, terms or conditions that would otherwise be implied) as to the quality of the goods or their fitness for any purpose. Inform us in writing, with full details, within 5 days. If the goods are found to be defective in material or workmanship (following our investigations), and you have complied with our conditions in full, we will (at our opinion) repair the goods, replace the goods or refund the price. Note that the Moisture Resistant MDF is resistant to moisture and not fully protected against water submersion. Goods which are classified as visually acceptable are deemed appropriate for delivery. This includes the addition of extra features. This is including – but is not limited to – additional rebates, and excess material. Direct financial loss, loss of profits or loss of use or loss of goodwill and indirect or consequential loss. Nothing in these terms affects or limits our liability for death or personal injury resulting from our negligence. Goods which have been lost during transit will not be remade until the loss of goods can be verified with our delivery drivers or external couriers. For goods which you deem to be incorrect or damaged, a clear image of the goods in question is to be sent the the Skirting UK team to verify the condition of the goods. Once this is verified, the goods can then be remade. If we are unable to perform our obligations to you (or able to perform them only at reasonable cost) because of circumstances beyond our control, we may cancel or suspend any of our obligations to you, without liability. Examples of these circumstances include an act of God, accident, explosion, war, terrorism, fire, floods, delays, strikes and other industrial disputes and difficulty in obtaining supply. We hope you are pleased with your purchase and we take pride in supplying top quality products, at a competitive and cost-effective value. However, we are aware that sometimes things do go wrong or customers may and can change their minds. You are within your rights to cancel your full order with us at any time up to 7 working days after the day of delivery for a refund under the T&C’s of your products only. For refunds please telephone us on 0121 289 4940 or email admin@skirtinguk.com for our refund procedure. If your option is to return any goods they must be unused, and in “as new” condition as supplied. You must also ensure that the products are securely packaged as delivered to protect against damage. If you fail to take care of the goods reasonably before they are returned to Skirting UK, which could result in damaged goods then we will have to charge for any damage caused accordingly. All products are made to order therefore any refunds will be subject to a £35.00 administration charge as well as a 50% restocking fee. Please note your orders will go to the production team within 24 hours if you cancel your order for a refund it will be subject to a £35.00 administration charge as well as a 50% re-stocking fee. The lengths that are provided are subject to change to cater to circumstances. The ordered dimensions are guidelines and it may be deemed appropriate to use different dimensions when necessary. This includes – but not limited to – supplying a different length due to board shortage, or providing the customer with additional material. Applicable laws require that some of the information or communications that we send to you should be in writing. When using our site, you accept that communication with us will be mainly electronic. We will contact you by e-mail or provide you with the information by posting notices on our website. For contractual purposes, you agree to this electronic means of communication and that you acknowledge that all contracts, information and other communications that we provide to you electronically comply with any legal requirements that such communications be in writing. The information contained in this website is for general information purposes only. The information is provided by skirtinguk.com and whilst we aim to keep the information up to date and correct, if by mistake we misinform you about the accuracy, completeness, reliability, suitability or availability with respect to the website or the information, pricing, products, services or related graphics contained on the website for any purpose we will not be liable to supply that item to you, provided that we notify you before we dispatch the item to you. In those circumstances, we will notify the correct information to you so you can decide whether or not you wish to order the item. Through this website, you are able to link to other websites which are not under the control of Skirting UK. We do not monitor the content and have no control over the nature and availability of those sites. The inclusion of any links does not necessarily imply a recommendation or endorse the views expressed within them. Every effort is made to keep the website up and running smoothly. However, skirtinguk.com takes no responsibility for, and will not be liable for, the website being temporarily unavailable due to technical issues beyond our control. All images, photographs and dimensions are not intended to be relied upon for, nor to form part of, any contract unless specifically incorporated in writing into the contract. Images are used to give a representation of what your product may look like. If you need any further assistant, please speak to a consultant, 0121 289 4940. This website and its content is copyright of skirtinguk.com © Skirting UK Skirtinguk.com 2016. The Company’s logo is a registered trademark of Skirting UK in the United Kingdom and other countries. DTS & Co (UK) LTD T/A Skirting UK reserves the right to change these conditions from time to time as it sees fit and your continued use of the site will signify your acceptance of any adjustment to these terms. If there are any changes in how we use our site customers’ Personally Identifiable Information, notification by e-mail or postal mail will be made to those affected by this change.